The glitz and the glamor could only mean one thing: it’s award season! 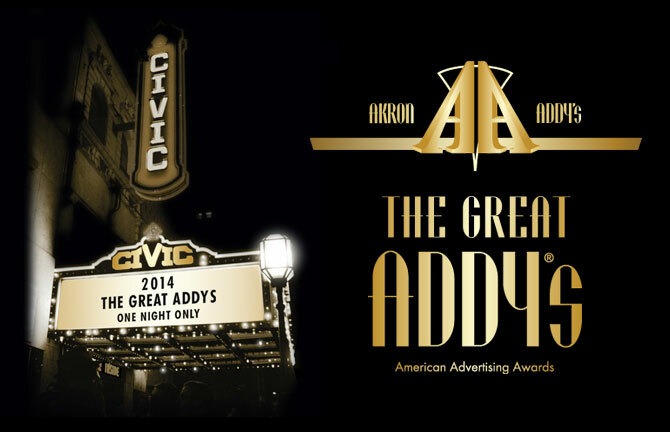 Sure, we’ve watched the Oscars and Golden Globes, but what the Array design and marketing teams really cared about was the Akron Addy Awards. Array has had great success in the past, winning branding and design awards at the national level, but this was the team’s first entry in the local arena. And as proud new members of the Ad Club, we filled out our entries and crossed our fingers! The night was Gatsby themed and, following suit, the Array team showed up at the Akron Civic clad in our best attire – bow ties, wingtips, boas and feather headbands to boot. We are very pleased to announce that Array Creative walked away with a Silver Award in the Integrated Campaign category for our Dole/Yonanas Retail Experience. The campaign included packaging, web design, a retail display and even a vehicle wrap. We’ve sent on our entry to the national level, so stay tuned for the results! Visit http://www.aafakron.com/ to learn more about the AAF, upcoming events and membership.